This cool sofa bed will be a welcome addition to your home, great for smaller spaces like an apartment, condo, or spare bedroom. 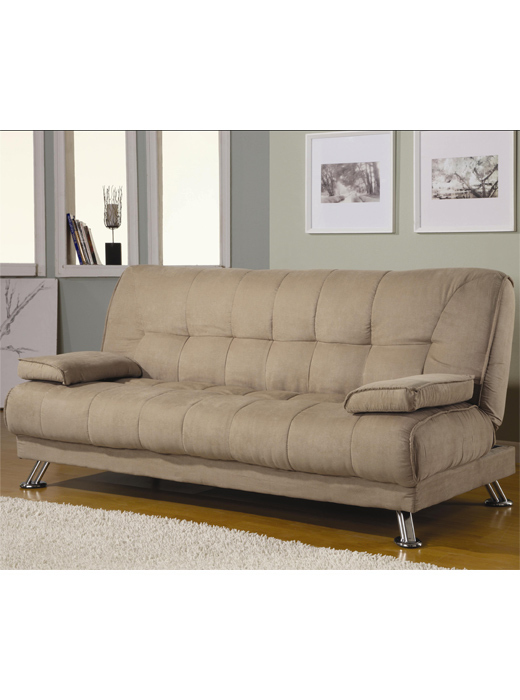 Sit around and lounge on this comfortable sofa by day, with a deep seat and high back cushion covered in a soft tan microfiber fabric, with modern tufting. 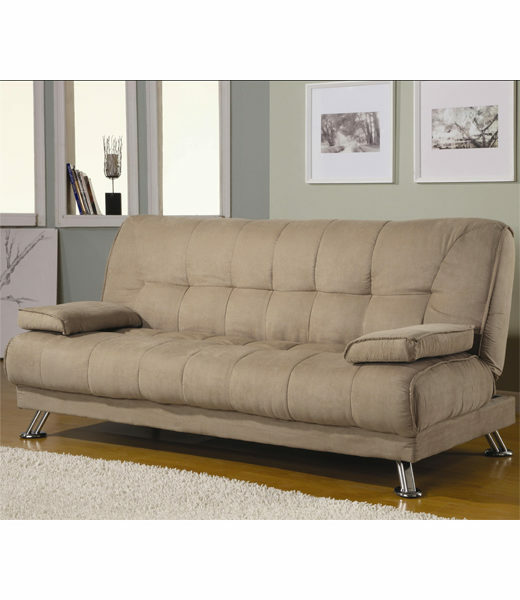 The Sofa Beds Fabric Convertible Sofa Bed with Removable Armrests.